Buying a blender today presents you with a variety of choices. 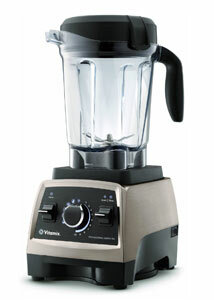 Cheaper blenders have lower power, short warranties, and their motors can burn out if over-used. High end blenders have high build quality, powerful motors, have long warranties and can be used daily for years without motor burnout, but with a high price. Buying a blender is a balance of price and quality. SmartReview.com covers only blenders that have received the highest consumer and professional reviews. This guide will provide you with the options available today in countertop blenders. See our top 2018-2019 picks low to high end blenders. Countertop blenders can be used for a variety of tasks, and even replace other appliances depending on the quality, capabilities, and accessories. The most popular use of blenders is for making Smoothies, Green Smoothies, and whole fruit juices. These are the highest rated models. Home Blender Warranties – The length of the warranty is important, since the length of the warranty is an indication of the confidence of the manufacturer that its blender will stand up to the test of time. Cheaper blenders have short warranties, and for good reason, their motors can burn out sooner. Usually only high-end blenders have the longest warranties. If you use a blender often, get the blender with the longest warranty that you can afford. Pre-programmed Functions – Some blenders have pre-programmed functions that with a press of a button, or knob, will automatically run the blender for a particular type of blending. The blending can vary in speed during the cycle, and will automatically turn off when done. These are very convenient and a sought after feature, especially for those that make smoothies. Just push the button, and you can do other things while its blending. Depending on the blender, pre-programmed features could include Smoothies, Milkshakes, Hot Soup, Sauces, whole juice, and more. All Blendtec blenders have this feature. Blender Power Watts & Horsepower – One way of comparing blenders is by the number of watts of power they consume, and the Horsepower (HP) of their motor. The best blenders, that do the best job have the highest power, and their motors are more efficient and less prone to burn out. However high watts does not mean a good blender, or that they are equivalent. Blending depends on blades, shape of container, and varying of power for best mixing. But as a general measure, high watts are better, as are Horsepower. For smoothies, a higher power blender will give you less gritty smoothies, as it can pulverize seeds, fruits, and veggies more effectively. which both have a lot of power and make excellent smoothies, and have a long warranty. In the $100 range, the Ninja Professional BL660 does a good job with smoothies, but not as good as the mid and high end range, and only has a 1 year warranty. Best Personal Sized Blenders – There is a special class of blenders that have personal sized cups that you can blend your ingredients right in the cup, and then attach a lid and take it with you. The leaders of this type of blender are Nutra Ninja and NutriBullet. Below are the highest rated blenders that have personal sized cups included. Best Rated Quiet Blenders – Higher powered blenders are noisier than lower powered blenders. When blending and chopping ice, sound levels will increase as well. There are very few truly quiet blenders, and they are mostly commercial models with a sound enclosure. However there is one Consumer model that is the quietest consumer model available with a sound enclosure, the Blendtec Pro 800. 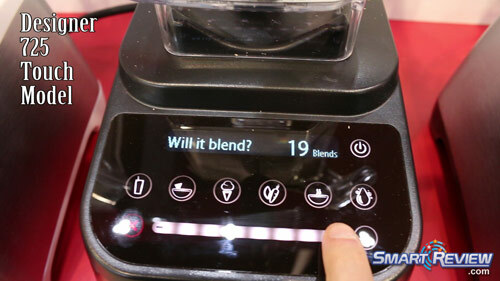 Touch Control Blenders – A new type of blender has arrived using capacitive touch controls, just like your smartphone. The new blenders have a sleek modern look and are very attractive, as well as giving you additional functionality at the touch of your finger. The touch interface is easy to clean. Vitamix and Blendtec both make Touchscreen models as their premium lines of blenders which have received our highest rating. Cheap Blenders – Although initially looking like a bargain, we have found many of the cheaper priced blenders don’t last long, have poor consumer reviews, are made with inferior plastics/metals, have weaker motors, and have fewer features than higher priced blenders. Many are under-powered and will leave you with a gritty smoothie. If you use your blender daily or many times a week, you need a quality blender with a longer warranty. We only feature blenders with high consumer ratings regardless of price. Only about 20% of blender models make it to our site. Professional Vs. Consumer Reviews – Some of the blenders that are reported to be top models by leading professional consumer magazines/websites can be misleading. The reason is that they are testing these blenders over a short period of time, and are not in a real home environment. We have found many of the leading models from professional reviews get poor consumer ratings. This is because over time, flaws and poor quality can show up, that don’t show up in the short-term under laboratory conditions. We believe consumer reviews to be an excellent indicator of quality, not only in the short-term, but the long term. Blender Ratings and Reviews – Many blenders get poor consumer ratings. This is either the result of poor design, short longevity, weak motor, and sometimes a burning smell/bad noise while operating. In the universe of blenders, two brands stand out for us. Those are Vitamix and Blendtec which both consistently receive extremely high consumer ratings, and have done so for years. The reason is superior design, and quality of materials, and long warranties. Other blenders we list are the best 2016, 2017, 2018 and 2019 models of their respective brands.